King of Accra is music producer of Ghanaian origin: an epitomic blend of authentic Ghanaian modernity and rich old school vibes, he creates beats with the synth sounds of the ’80s, ’90s and the now, while targeting the originality of making music through true melodies that come from within as well as incorporating live instrumentation. Born in North Kaneshie to Rev. and Mrs. Commey, the young King of Accra has been a lover music ever since his ears could detect sound. And at every level of his education, he has been acknowledged for being a musician. 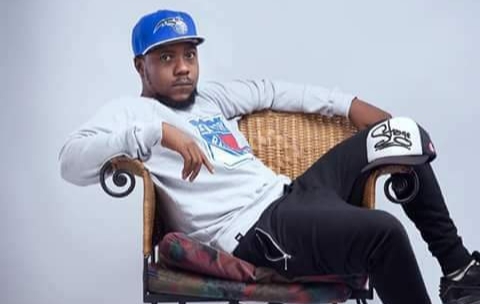 He has since worked with the likes of Edem, Trigmatic, Raquel, Guru, Magnom, Kwesi Arthur, Paq on the Beat, Fortune Dane, as well as musicians of Nigerian descent such as Big Klef. When it comes to collaborations, King of Accra has engaged in many of them, including having teamed up with Canadian-born Ghanaian artist Vic Ns. In short, King of Accra is ever ready to work with all talented and serious artists, when it comes to making music. Being the selfless minded person that he is he has made it a point to create a portal, where Ghanaian musicians can log on and access great beats, which he has produced. “At first I used to just upload these beats for free for the artiste but I think it’s about time we took the craft much seriously on all levels and make the legalities available, he said. The website kingofaccra.com is a portal for musicians who are already established and upcoming to get the beats they need for music creation, for multiple genres which include, afrobeat, dancehall, hip-hop, Trap Hip-hop beats, highlife, contemporary highlife, reggae and R&B. The website aims to make beats which are the bedrock of modern music making available and cost-effective for the musician with beats ranging from 150GHs to 500GHs which are way less expensive as compared to beats you can get from an established producer. On this website, you can choose a beat and preview beats up to 30 seconds minimum and for a maximum of one minute, where upon going through a simple step by step procedure, one can purchase beats via MTN MOBILE MONEY, TIGO AIRTEL CASH and VODAFONE CASH. I personally think this is the best innovation that has entered the Ghana music industry and I believe that this will help both students, part-time and full-time musicians, in creating a sphere of originality that will bridge the gap and make everyone look professional, due to the authentic nature of the productions on the website and the fact that licenses are issued for every beat that is sold or leased on the website. In this age where musicians can make music from their homes, musicians can purchase beats via our smartphones and computers and get creative. Visit kingofaccra.com; the musician’s haven.